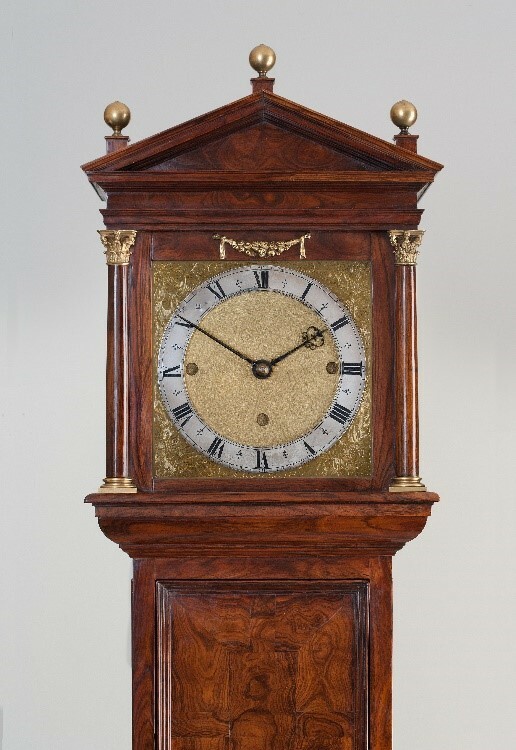 Two private clock collectors have collaborated to stage an outstanding exhibition of early English clocks at the prestigious venue of Bonhams, New Bond Street, London in September. The exhibition will also feature third party loans, including contributions from the Science Museum, the Clockmakers’ Company and the Collection of the 5th Lord Harris from Belmont House, amongst others. However, given that the majority of clocks are privately owned, the specimens on display are very rarely in the public eye. Indeed, what makes the exhibition particularly exciting is that many of the clocks are being displayed together, almost certainly for the first time. A substantial number of the clocks were either Royal commissions or part of historic private collections within both stately and luxury homes of the period. 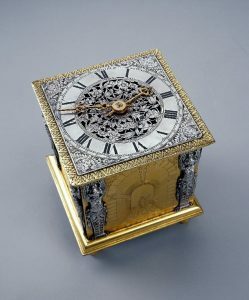 The exhibition’s main objective is to share a passion for these exquisite clocks and to ignite a new public interest. Innovation and Collaboration will engage with visitors and rekindle the time-old relationship between clocks and the homes within which they both exist and play such a crucial role in everyday life. 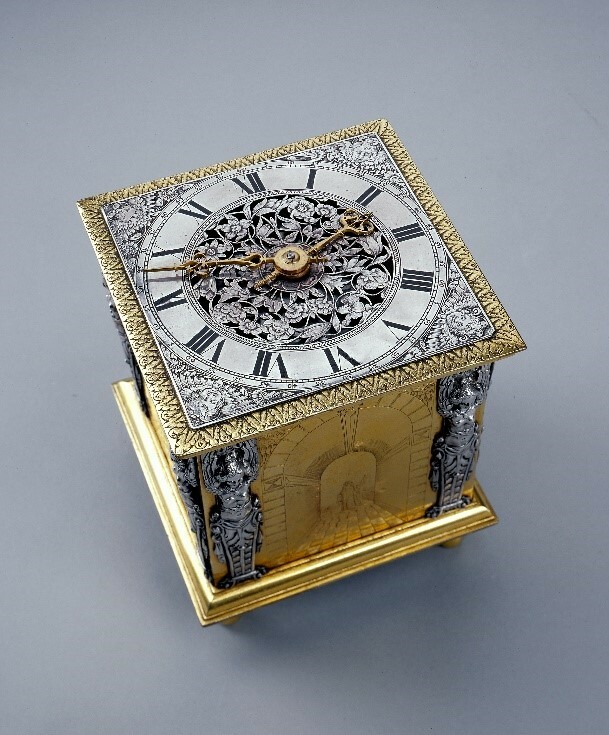 The exhibition – which also includes watches and documents – explores five themes that analyse the story of clockmaking. Subject matter ranges from initial imprecise timekeeping through to the highly accurate timepieces of great mechanical complication, along with crown patronage and the luxury market. It also includes time-keeping pieces made for the newly emergent middle classes, showing the diffusion of aspirational goods to the middle classes during the post-Restoration economic boom. Innovation took place during a highly volatile period of tumultuous change and political instability. Yet, each head of state (James I, Charles I, Protector Oliver Cromwell, then Charles II and James II, plus the later Stuart monarchs, William of Orange, Mary II and Queen Anne) expressed their elite status through patronage of the arts and sciences. This in turn, informed the culture of innovation which drove clockmakers to create increasingly interesting and ultimately, more accurate clocks. 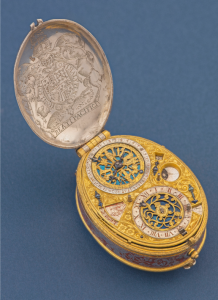 Running from Monday September 3 to Friday September 14, the exhibition provides a fascinating and unique insight into the innovation and collaboration of the pioneering clockmakers from 1600 to 1726. Clearly a period of significant historical importance, the work of Edward East, Thomas Tompion plus the clockmaking families Fromanteel and Knibb, is explored in detail, with over 100 longcase and table clocks on display. Times: Weekdays 9:30 AM to 4:30 PM, Saturday and Sunday 11:00 AM to 3:00 PM.